The first early-bird entry deadline for 2013 American Business Awards, the premier business awards program in the U.S.A., is Friday, November 16 and we thought it would be helpful for organizations if we highlighted our live event awards categories. (If you haven't yet done so, you can download your entry kit here.) 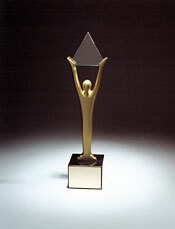 Our categories recognize excellence in live events staged since January, 1 2012. An essay of up to 525 words describing the event: its genesis, goals, development, and results. You may include detailed production notes, audience demographics, etc. Optionally, you may list creative and production credits for your event - a list of the people and organizations that contributed to its development. 2013 ABA Finalists will be announced mid-May and the 11th Annual award winners will be announced at our traditional banquet in Chicago on June 17. If you have any questions about which category your should enter, please email us at help@stevieawards.com or call us at + 1 703-547-8389.